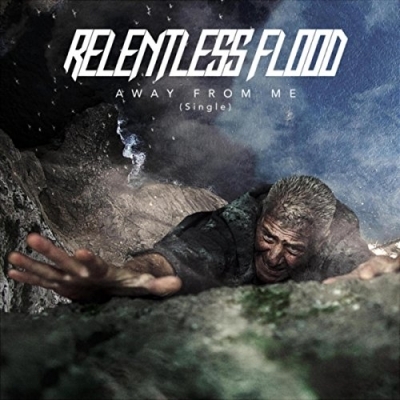 North Carolina rock band Relentless Flood is back with a new lineup, new single, and a fresh passion for bringing hope to the hopeless. The group are releasing their new album, 'Escape The Fall' in early spring 2018, and are about to release new single 'Away From Me'. Read More North Carolina rock band Relentless Flood is back with a new lineup, new single, and a fresh passion for bringing hope to the hopeless. The group are releasing their new album, 'Escape The Fall' in early spring 2018, and are about to release new single 'Away From Me'. The band was originally formed in 2009 in Spruce Pine, North Carolina, and has since released two full length records. Both records, 'Stand' (Released in 2012) and 'The Time is Now' (Released in 2014) had radio singles that spent time in the top 30 of the Christian Rock charts. Most notably, 'Come Home', cracked the top 10, and remained in the top 30 for 29 weeks. Their new single, 'Away From Me', is paving the way for the release of their brand new record entitled, 'Escape The Fall'. Featuring heavy, rhythmic guitars, soaring melodic vocals, and powerful drums, this track combines all the elements the band has been known for, and sets the tone for their upcoming release. 'Away from me' is a powerful anthem that focuses on the battlefield of the mind, and the spiritual warfare we all face on a daily basis. The song reminds the listener that they don’t have to listen to the lies of the enemy and fall captive to the idea that they are worthless, hopeless, or not good enough. The line, "don’t even try to start again, ‘cause I know what happens in the end", brings to light the fact that our enemy has already been defeated, and he has an expected end. The line, "I know I’m weak on my own, but I am not alone. The one who conquered death is living inside me", acknowledges the fact that while we are weak on our own, we have been made complete in Christ. We can rise up in confidence, face our fears, and tell the enemy to "get away from me!"